Here we only test the temperature of the XFX RX 590 and test its temperature performance in standby, 3Dmark, and Furmark. The room temperature was 19 degrees during the test. Furmark’s parameters are set to 1920*1080 resolution, 0AA. 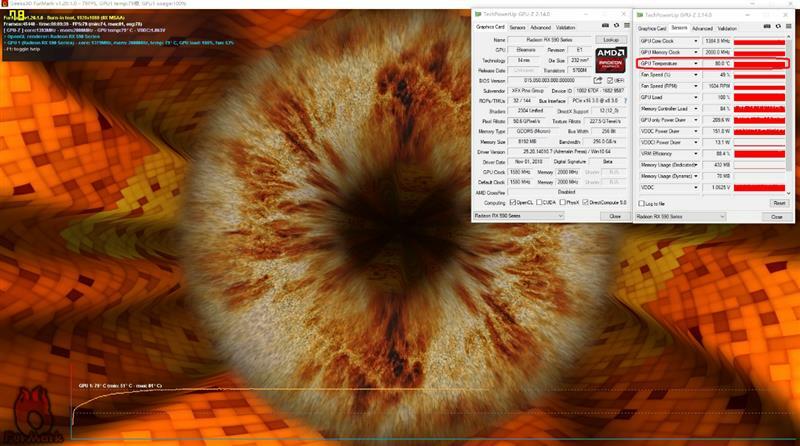 After 10 minutes of operation, the temperature of the XFX RX 590 stabilized at 80 degrees. 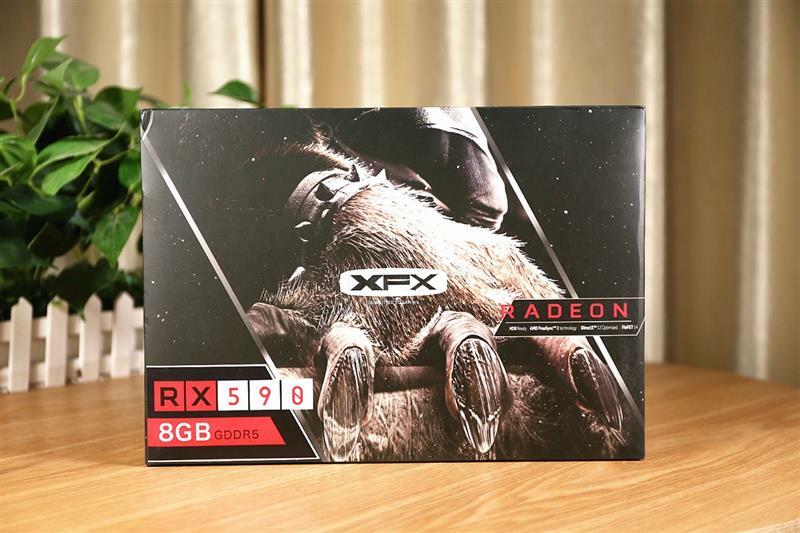 When the temperature of the XFX RX 590 is lower than 60 degrees, the fan will automatically stop. Because its radiator is not huge, the standby temperature is 35 degrees, and the maximum temperature of running 3DMark is 74 degrees. When performing Furmark baking machine The maximum temperature is 80 degrees. 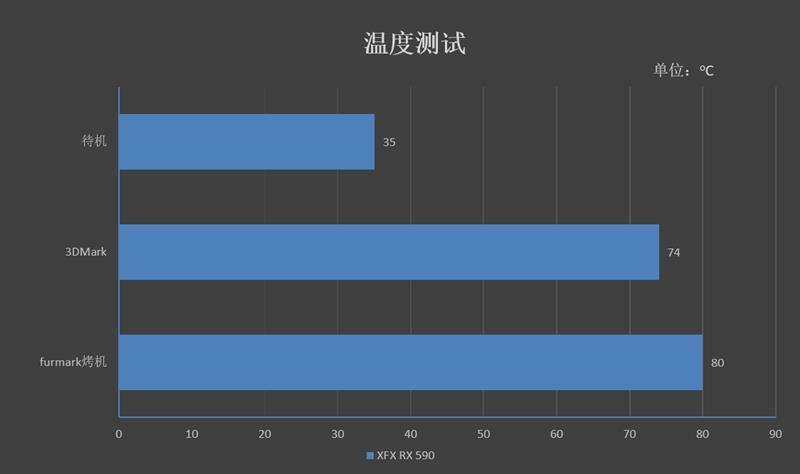 Although the XFX RX 290 frequency is 35MHz higher than the public version, its 225W TDP is the same as the public version. Test standby and Furmark oven power consumption separately. The power used for the test is Cool Cool Extreme MasterWatt Maker1200W Platinum Power. 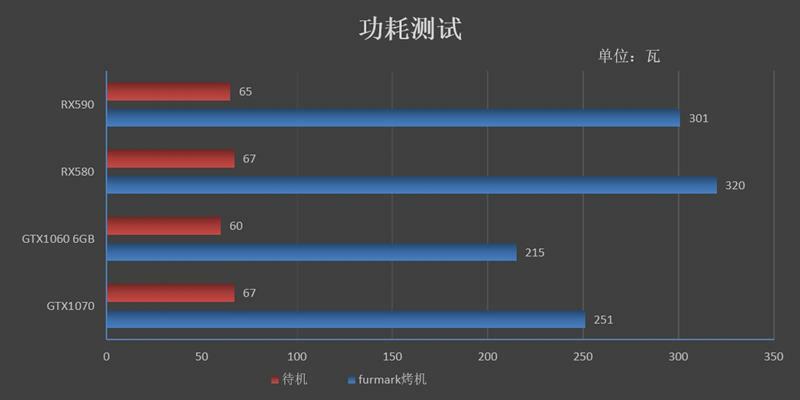 In addition, we use the overclocking platform to test, the power consumption of the entire platform will be about 20W higher than the default frequency.